Two-Day Freestyle and Open Water Racing Camp – Sign up for one or BOTH Days! This is a two-day swim camp focused on racing faster in every distance freestyle and open water race. The first day will focus on technique for a more efficient and powerful freestyle stroke for mid to long distance races. On the second day, participants will work on open water racing techniques and strategies. Each session will be led by Olympian and freestyle specialist Brett Fraser! Scroll down for more details on the curriculum. Brett will lead 4 sessions, two for each age group. This camp is reccommended for swimmers with at least one year of competitive swimming experience and is not recommended for swimmers younger than 8 years old. Best Deal: Prices rise April 25th! 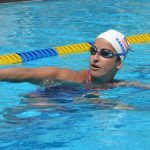 A fast and efficient distance freestyle stroke is all about energy conservation while still swimming at a very fast pace. At these sessions open water and distance freestyle Olympian Brett Fraser will work with each participant to make each movement count to create speed and reduce drag for a smother, faster, and more efficient freestyle stroke. This will help with endurance as well as injury prevention! Bodyline: Your swimmer's freestyle will never be fast without a strong bodyline. Participants will renforce good posture and engage their core to have a strong foundation for a faster freestyle. Pull: The best swimmers in the world utilize an early vertical forearm to put immediate pressure back on the water. Brett will also teach swimmers how to get maximum extension and a powerful finish! Learn new drills and exercises to get more power and length out of every stroke! Breath: All swimmers know to keep one goggle in and one goggle out when they take a breath, but do they know when and how long to breathe? Brett will show your swimmer how to make each breath more efficient for faster freestyle racing no matter what distance. Open water swimming is a very strategic sport. There are countless intricacies that go into planning out a great race, yet you still have to remain adaptable. At these sessions, open water Olympian Brett Fraser will be in the water helping participants learn and master the components to swimming a smart race! Sighting: Being able to see the buoy or finish can be a real pain in the neck (literally). It is important to learn how to sight efficiently while keeping hips high and head low. Brett will teach the swimmers in this session other tips and tricks to swim straight and minimize the amout of sighting necessary to get where you need to go. Drafting: Swimmers can save up to 25% of their energy by swimming in the wake of another swimmer. At this session participants will feel that energy conservation and find that perfect spot for the easiest swim. Pack Dynamics: Open water can be a very physical sport. With so many swimmers in the water all trying to turn around one buoy, it takes a lot of confidence and strategy (and a little luck) to get in the right position. Work on holding your ground and finiding the right spot in the pack to minimize contact with other swimmers while still maximizing manuverability and drafting. Strategy: How hard should you push at the beginning? How much should you kick? When should you make your move? There are lots of questions that factor in when you are creating a game plan for your race. Work with Brett Fraser to find a game plan that will help you swim at your best! Swimmers and parents are invited to ask Brett questions during a Q&A session. Gain insight into their training regimen, diet and nutrition, and recovery tactics. 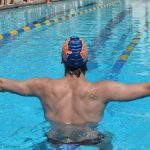 Brett will lead participants through a drill progression designed to help swimmers feel and understand the techniques required for faster and more efficient racing. Swimmers will get to practice what they've learned by taking their stroke to top speed! They'll work on holding onto their form while challenging themselves. Take a photo with Olympian Brett Hawke, get autographs, and a gift from TYR Sport! Brett Fraser is a two-time Olympian and Pan American Games gold medalist specializing in freestyle and butterfly! 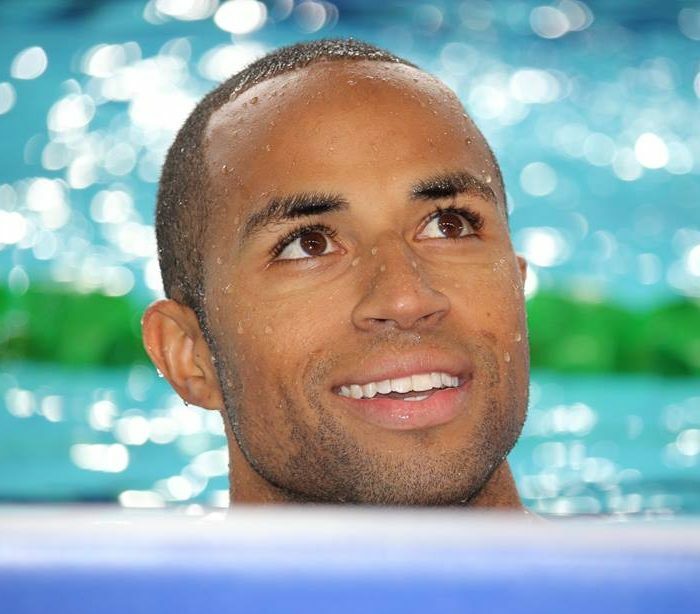 In both of his Olympic Games, his country of the Cayman Islands had him as their flag bearer. Sign up to learn from Brett at this swim camp!